If you didn’t exchange business cards, your meeting basically never happened. To someone experienced in networking, that sort of maxim is old news. 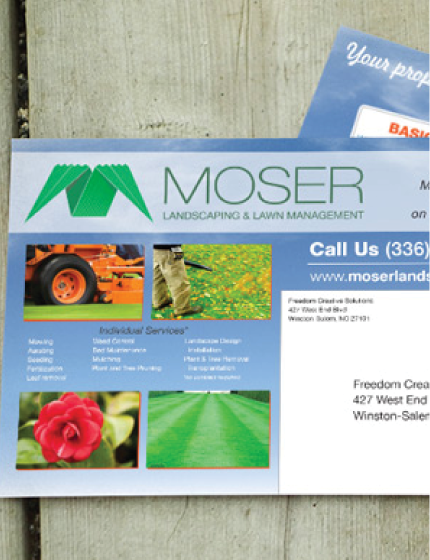 Nowadays, you’re more focused on how to make your business cards stand out among the pile. Don’t worry! 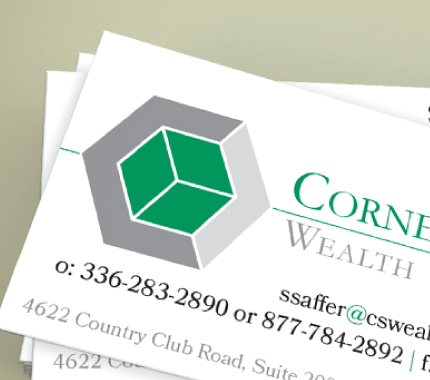 The Business Card Experts at Freedom Creative Solutions have you covered! 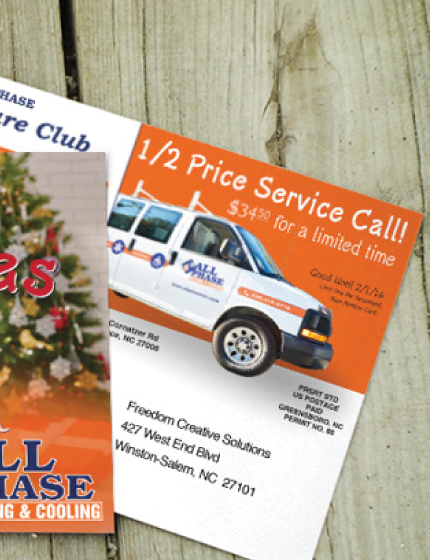 As Winston-Salem’s Full Solution Printer, we boast an incredible variety! Robust UV Coating, Raised Ink, Spot UV, Magnetic Business Cards, and much, much more. Our graphic designers are ready to make your graphics pop, and our in-house printing team ensures that when you need business cards right now, we can get them to you! Best of all, the selection on the site isn’t all we have! 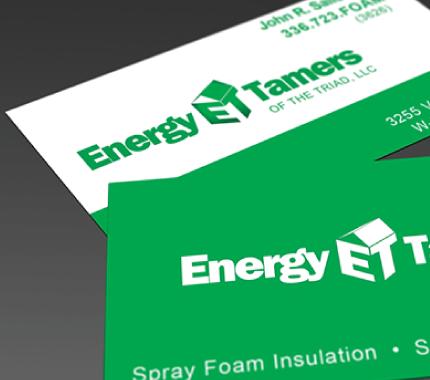 Contact us today, and let us get you a business card that will make you a networking powerhouse! What’s better than getting a postcard in the mail? Why, getting a reply to it, of course! And Freedom Creative Solutions can help that happen! 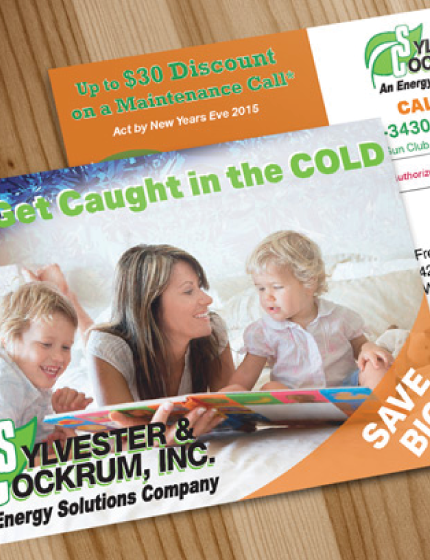 As a full service printer with decades of experience in the US Postal Service, we understand how to design an effective postcard. We provide innovative graphic design, high-definition printing, a variety of robust materials, and our expertise in advertising trends and USPS regulations, all to make sure your postcards get the highest return possible. 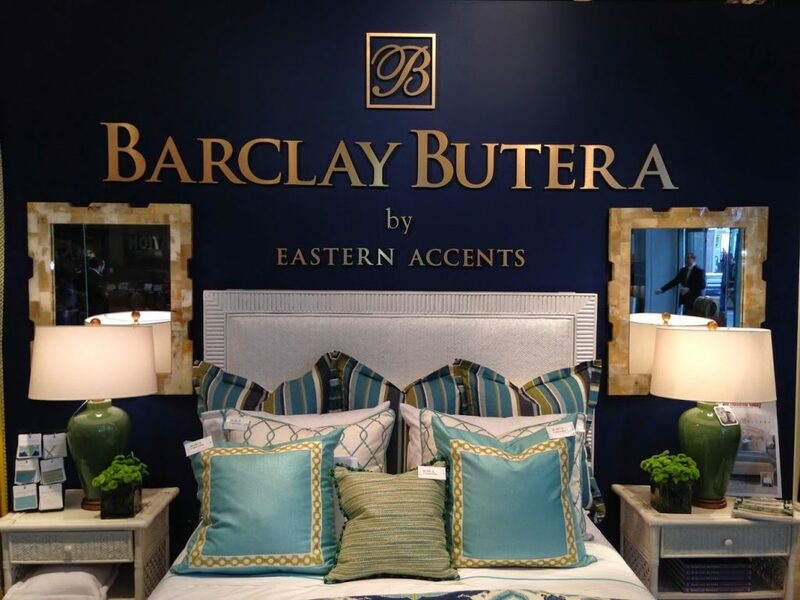 And if you like what you see here, click over to our Direct Mail Page, where we can do even more for you! The fact is that people take your business more seriously when they see a custom printed envelope in the mail. And at Freedom Creative Solutions, we’re all about customers taking you seriously. For invitations, invoices, business correspondence, transcripts, donation drives, casual letters, keeping track of cash, and more. 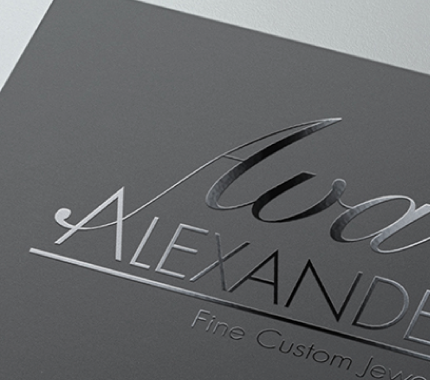 We provide a wide selection of envelope sizes and styles to suit your every need, and we print them in-house at our office in Winston-Salem, ensuring maximum turnaround. 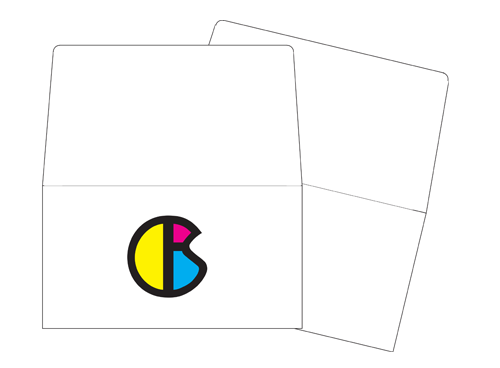 Better yet, our equipment can print straight to the edge of your envelopes. Click below and see what speaks to you! See if this sounds familiar: A busy place, a gold-mine of potential customers, and not enough time to really make your pitch. Telling them to find you online might not cut it. No, you need something loud, visual and informative that you can put in their hand while you have their attention. You need the original method. Flyers, Brochures, and Pamphlets. 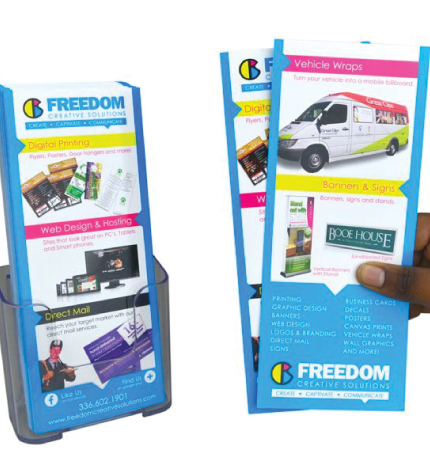 With expert graphic designers, high-definition prints, in-house folding and inserting equipment, and expertise on what grabs someone’s attention, you should trust Freedom Creative Solutions to make your marketing materials. Don’t find us later online. 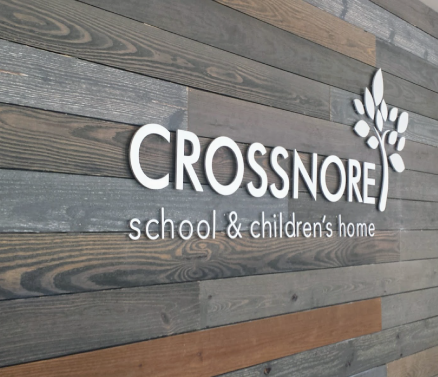 Click below, and let’s get the word out! 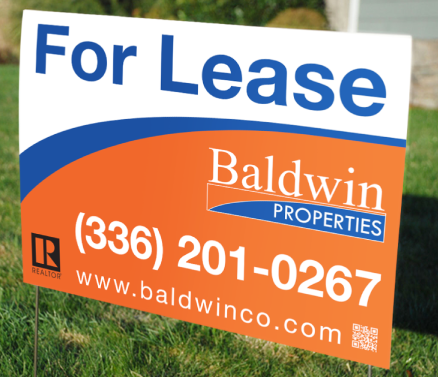 Do you have a special sales event or a political campaign, but don’t have time for door-to-door conversations? Perhaps you’re in the lobby of a medical or tourism facility, and want your waiting clients to explore their interests by browsing your information? Or perhaps you really like how postcards feel, but want something more intimate than mailing them. Whatever the case, we have the products for you. 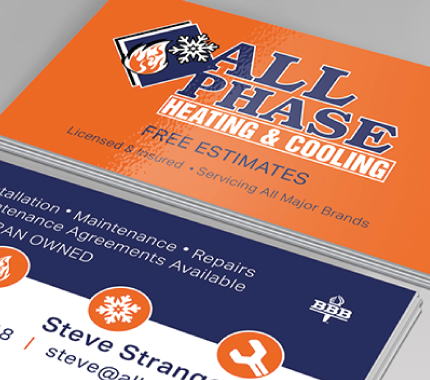 Rack Cards are robust, stand-alone ads that give you the benefits of a brochure, but with the same simplicity of a postcard. Door Hangers use the same concept, but have a circular cut that allows you to plant your message on the doorknobs of your prospects. In both cases, your information is right in front of your customers and hard for them to miss. Not enough for you? Need something bigger? Well, we’ve got you covered. 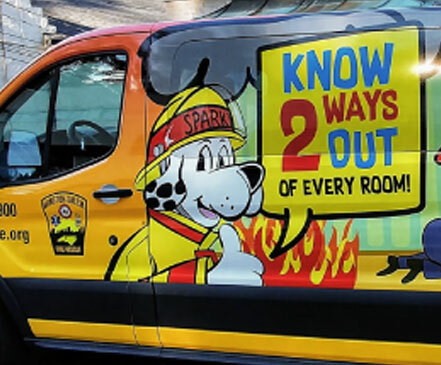 You, your cars, your floors, and every wall in your building! 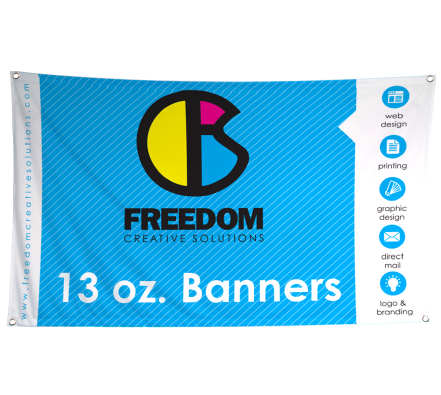 We provide hanging banners, retractable banners, flutter flags and canopy tents, table throws and custom printed floor mats, cut vinyl decals, dimensional signage, vehicle wraps, and much, much more! We even have trained installation experts on staff, to make sure you get huge graphics and as little headache as possible! Click here right now, and let’s talk big!